Submitted by Migrate Wizard on 2014-06-30 14:23. I'm not the author of this content, all of the credit for this content should be given to Lisa. This is the unaltered, original MOD released by Lisa in the old vault, but like that vault seems to be inaccessible; I have upload this here. In spite of the time passed since this content was released. They still are some of the best armor/clothing pieces ever made for NWN1. And a great source of inspiration for anybody who have tried to make new armor or clothes for NWN1. Thank You very much, Lisa!!!!! December 2006: Added in all my summer 2006 releases - plus updates for 1.68, plus lots of updated icons and too many little fixes to list ___________ SUMMER 2006: Added plt wings and tails, updated to 1.67 2da files and updated readme file. 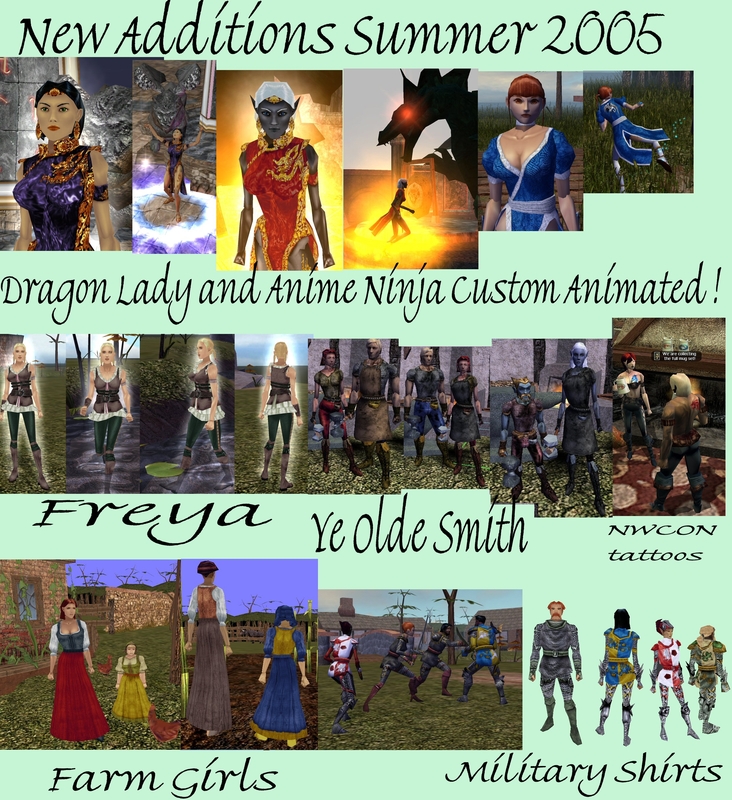 SUMMER 2005: Major Changes for female human head fixed for patch 1.66, added all my newer releases - Freya, Blacksmith, Farmgirls, MilitaryShirts, and Fantasy Dresses with custom animations by Ragnarok_mr4. Updated readme file.________________________ Ok, huge changes for HoTU. When robes were announced a few months ago, I decided the hak was going to need a total overhaul. I have separated mis-matched female/male parts, & tossed most of the old belt-skirts. 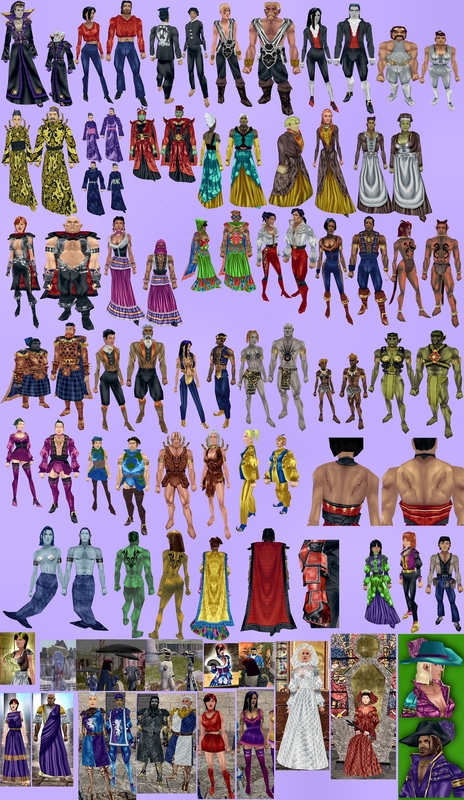 In this version every part has female & male compatible pieces except child parts. I made tons of new items & I cobbled together some outfits using current parts & varied textures. So if your dream is to be a chubby gnome female Hound Archon, or a half orc male fiesta dancer with bangle bracelets & frilly skirt - go to town! Are you a male thief hoping to make it through a checkpoint search? No problem, slap on the 'pregnancy' outfit & crossdress your way through. So I guess I'm saying, you still gotta use some good taste here. Some outfits just don't work on guys; weirdly they prettymuch all work for gals ;) Life is unfair; we can dress like guys and just look cute as buttons, but most guys can't carry off the really girly girl fluffy looks.